With a global reputation for providing high quality, reliable products, LTE Scientific is one of the most established and well respected manufacturers of laboratory equipment in the UK. Our products include a wide range of multi-purpose autoclaves for general laboratory, process and high security applications. Standard sizes go from 23 to over 1,000-litres and are supplied with either a cylindrical or square-section chamber. A wide range of options can be added to tailor each autoclave to meet client requirements. We can also design and manufacture autoclaves with specific chamber sizes up to 10,000-litres. To compliment our autoclave offering, LTE also offers washer-disinfectors and loading systems from two of Europes leading manufacturers, KEN hygiene and Remeda. 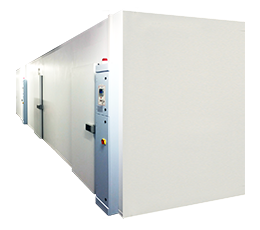 Our thermal products include ovens, incubators, cooled incubators, freeze-dryers and drying cabinets, all of which are built to the highest standard to ensure long life and optimum performance. We also specialise in the manufacture and supply of environmental chambers and rooms for stability testing, shelf-life studies, BOD and large-scale incubation. As the system we use is modular in construction, we can design and build our environmental rooms to suit customer-specific requirements.